ERISAN Android 6.0 Projector is very popular for brilliant colors and it has built-in Android 6.0 system, Wi-Fi, Bluetooth, and allows you to download and install applications from Google Store. Also, it has 4 inches LCD TFT panel with RGB 854 X 540 pixels to provide cinematic viewing experience. This Android based Erisan Wi-Fi projector is made in a small size that measures 6.1 X 4.6 X 2.2 inches so that you can take it anywhere you go. 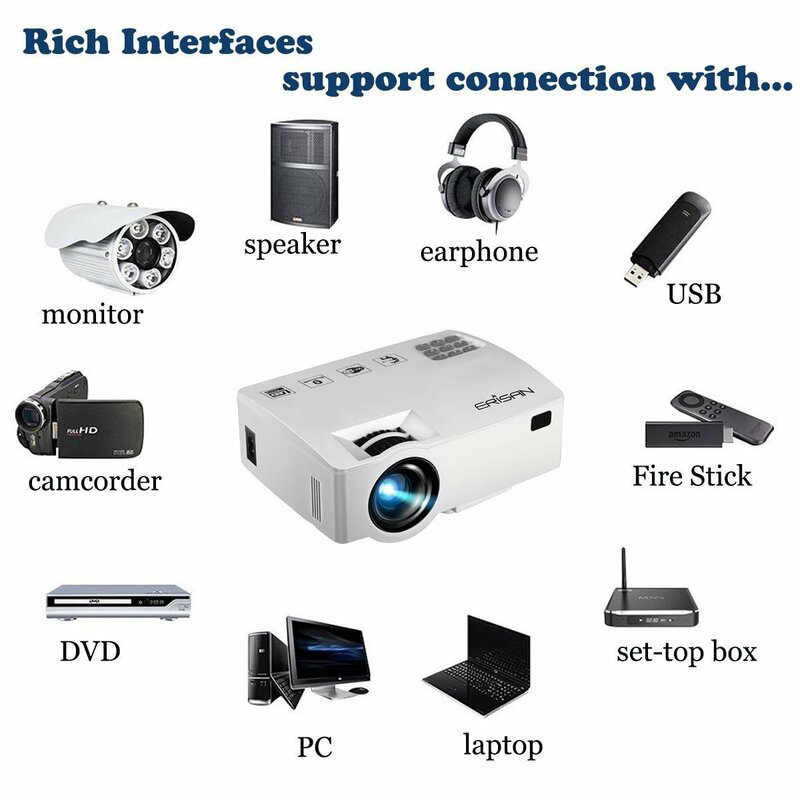 This high quality video projector will also provide good relaxation to your eyes from limited screen. Now is the great time to enjoy large screen with the introduction of this Erisan video projector. 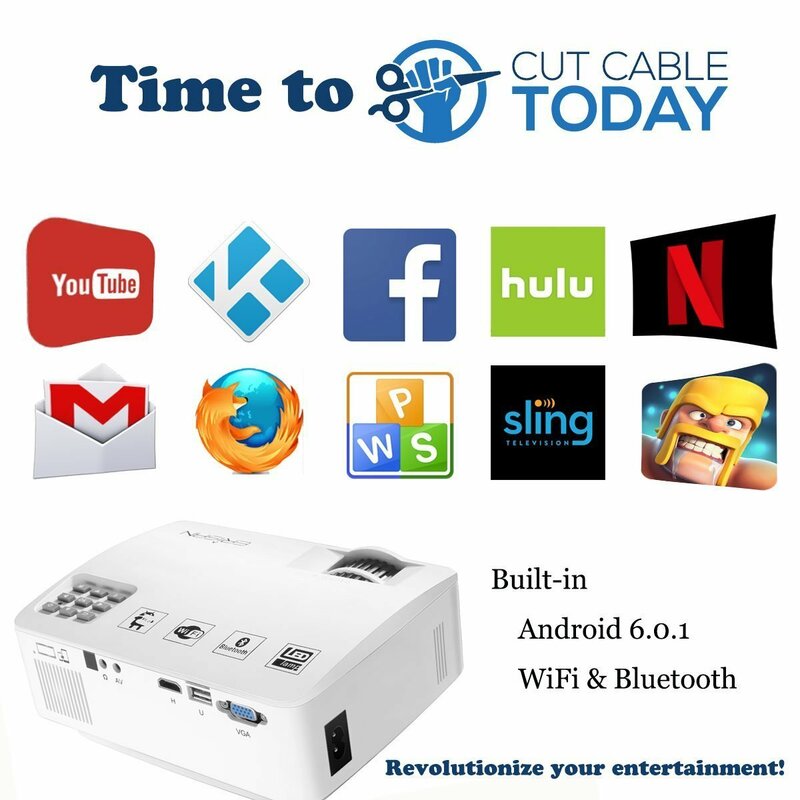 It is a perfect entertainment device for home entertainment, games, camping, backyard movie night and many others. Amazingly, you get an Android remote with Gyro Function that is very easy to operate. Further, Erisan video projector has 1920 X 1080 pixels native resolution, 240 LUX lumens brightness, 2200:1 contrast ratio and brilliant colors for movies and games. 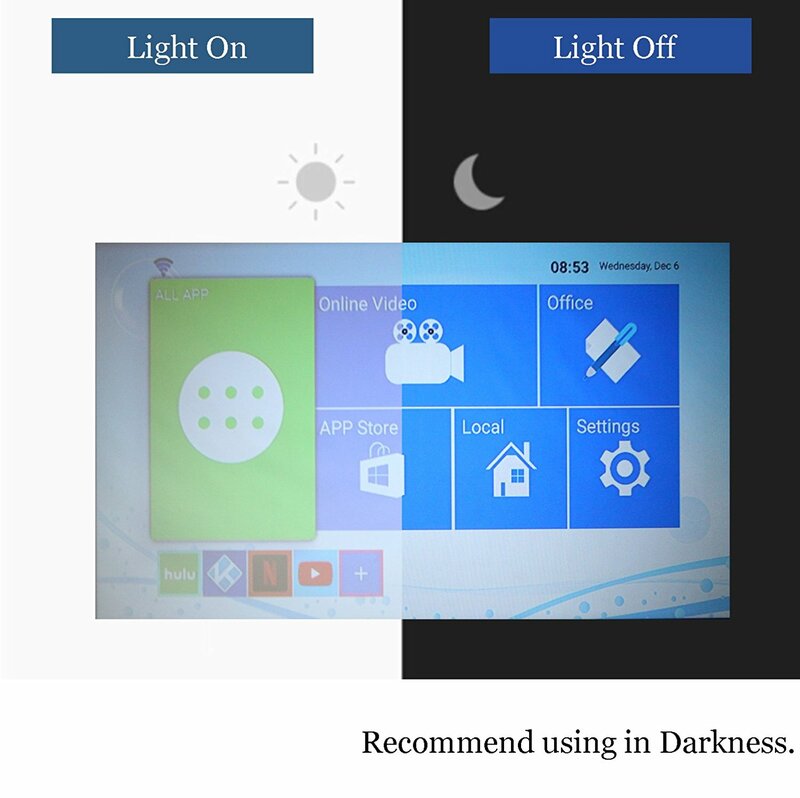 It also support multiple projection methods such as wall, ceiling mount, front and rear projection. 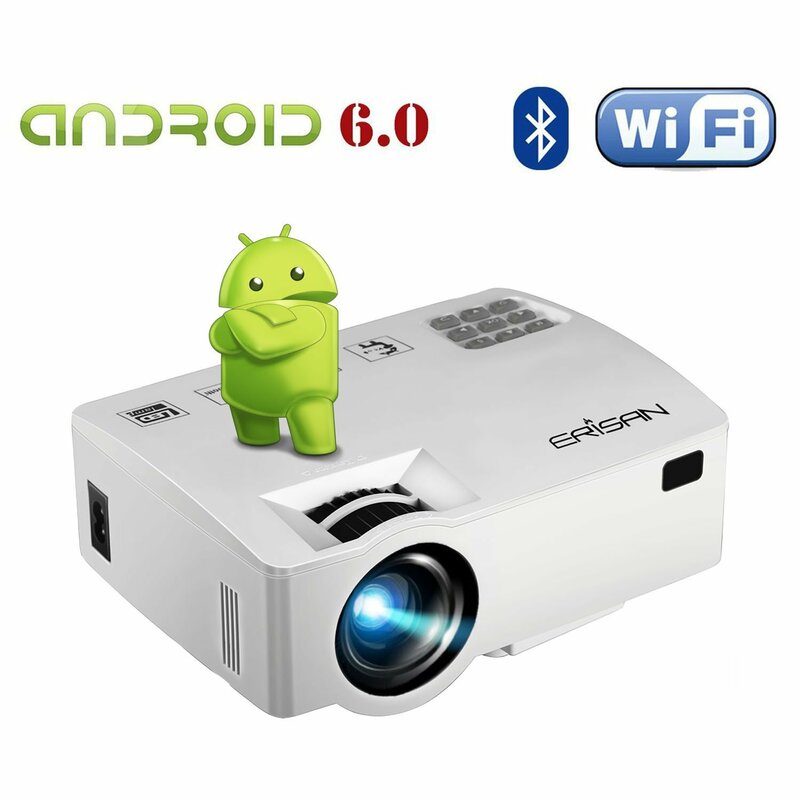 ERISAN Android 6.0 Projector delivers great watching experience without any doubts. The throw distance is from 3.5 to 16 feet and projection screen size supported from 34 inches to 180 inches. However the best projection distance is 7.8 feet and the best projection screen size is 80 inches. With such specifications and capabilities, this Erisan video projector is perfect for home entertainment in dark environment. Amazingly it is brighter than ordinary LED projector. However, it is not recommended for PPT or business presentations with bright lights on.